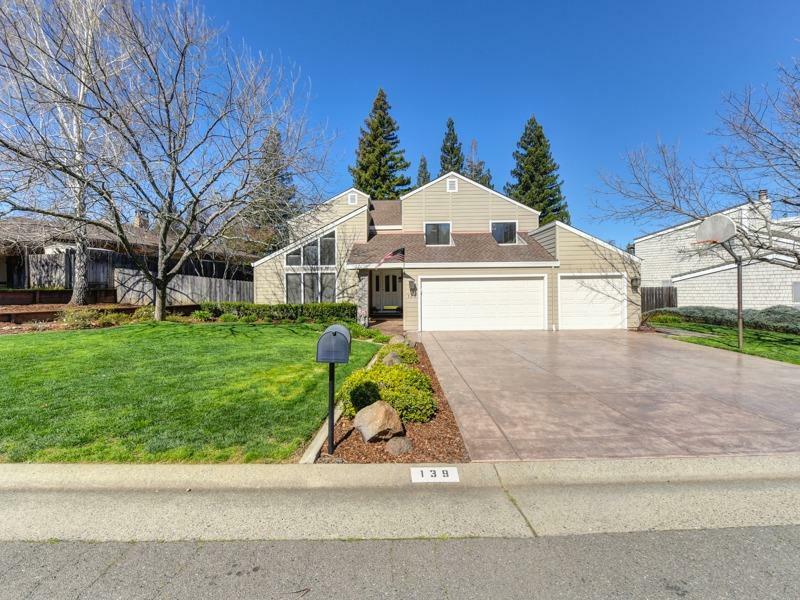 Gorgeous 4 bedroom, 3 car garage home in American River Canyon has been meticulously maintained and updated. Beautiful views from inside the home, looking out to your resort style backyard (private), an extension of the home for outdoor living. Featuring a sparkling pool/spa, covered patio, grassy area and fruit trees (RV possible)! This lovely home has been updated throughout, including the HVAC in 2017, fireplace gas insert and whole house fan in 2016, granite counters, stainless appliances, wood flooring, updated cabinets, lighting, the list goes on and on - all recent updates. Home is ready to move into, perfect for family living and entertaining. Folsom boasts highly rated schools, nearby restaurants and hiking/biking trails. Welcome Home to Gold Creek Circle!